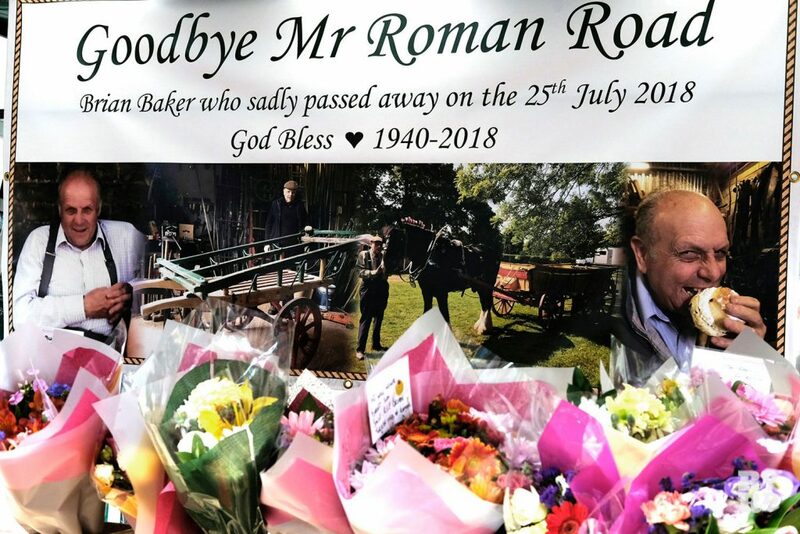 Roman Road market traders paid tributes to wheelwright Brian Baker who passed away on 25th July. 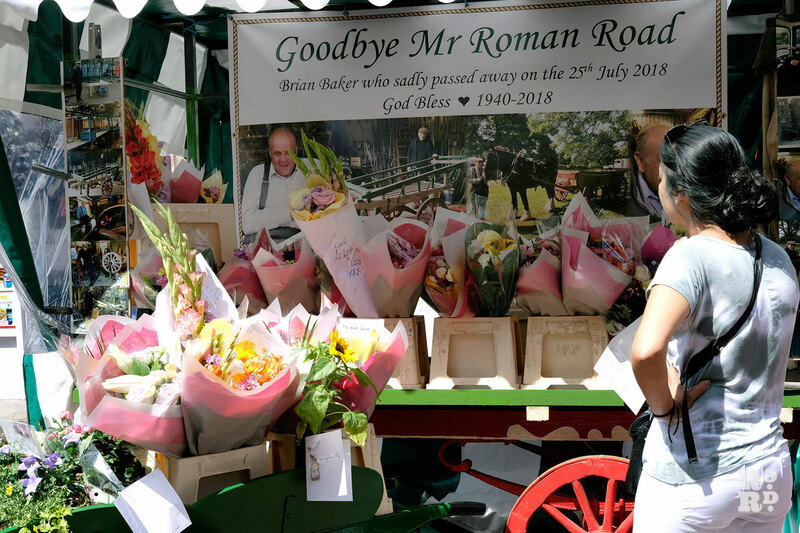 On Saturday a traditional market stall, adorned with old photographs and flowers, was wheeled out on Roman Road Market to celebrate the life of Brian Baker. 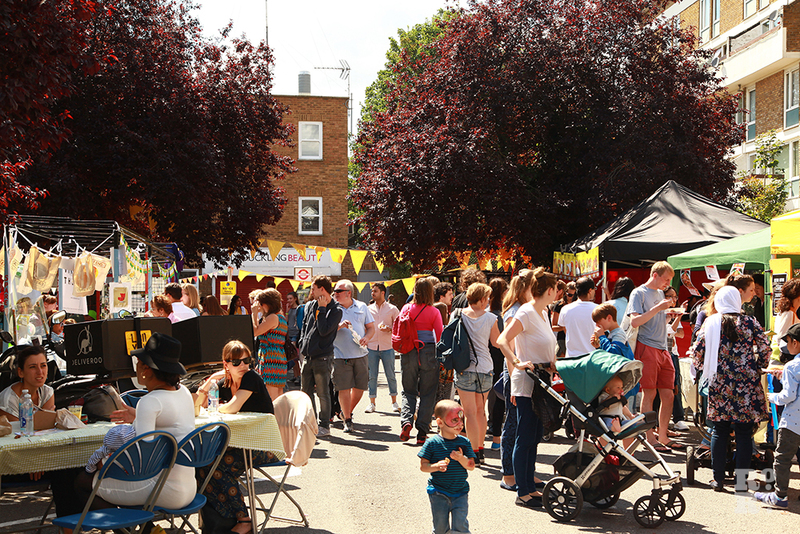 Dozens of local market traders left flowers and notes of sympathy in a condolence book. 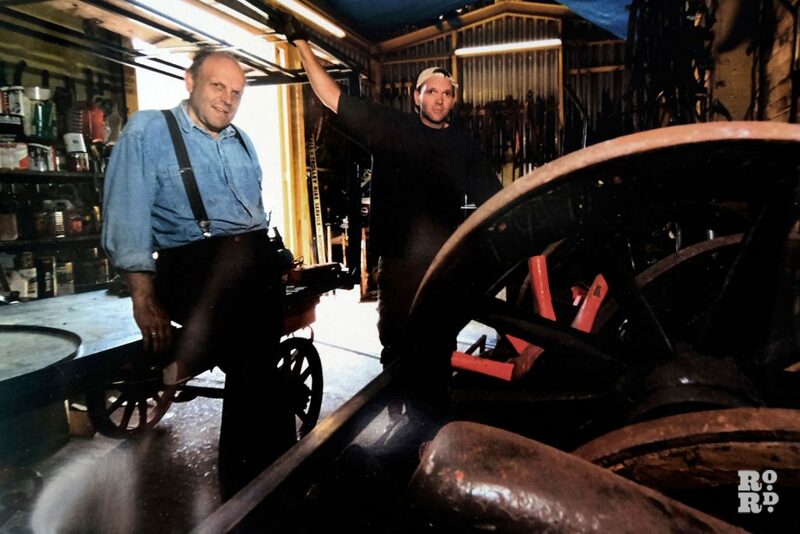 Brian Baker was a wheelwright who made many of the wooden carts that were used on the market. Leonard Baker (Brian’s grandfather) started his trade and gave up his job as a tram-driver in 1920 to become part of London’s growing market industry. 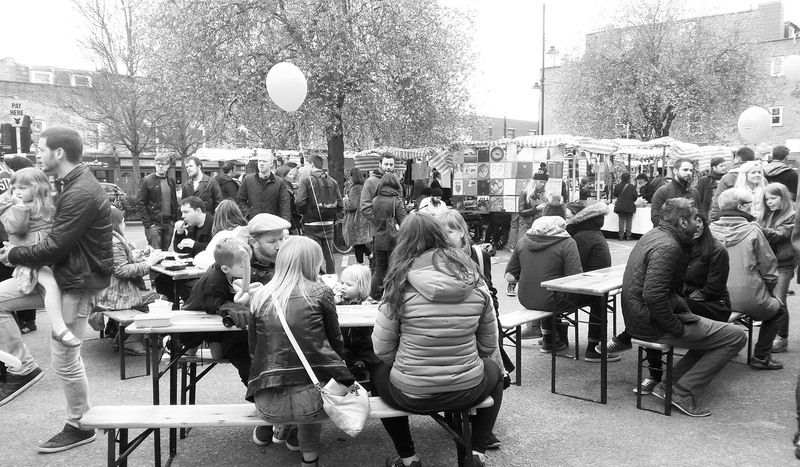 Before that, market traders had to use tables and trestle stalls to display their wares. 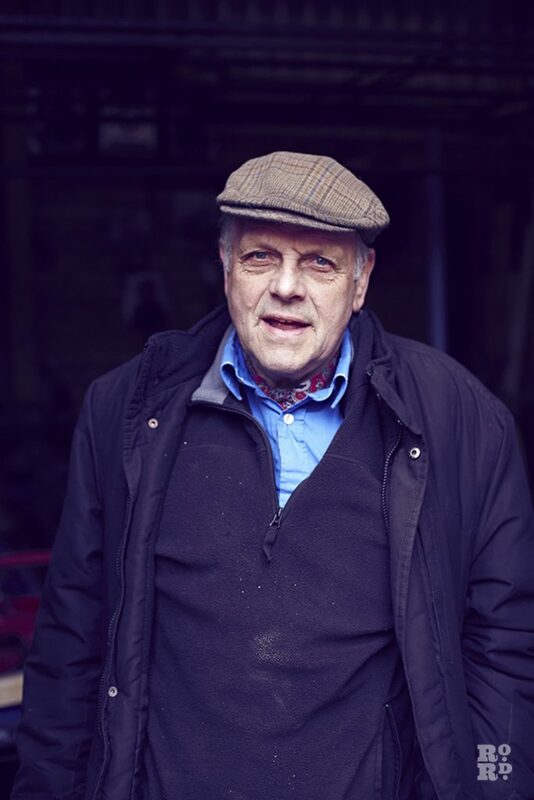 Brian Baker, built the carts in a workshop on Hewison St, just off the Roman Road. 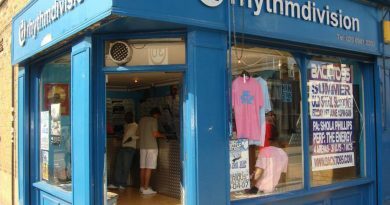 This workshop is still operating today and is quite possibly the last remaining wheelwright workshop in London. On Saturday, (Brian’s son and daughter) Terry and Marjorie were overwhelmed with well-wishers who came to the Roman to show their respects. ‘My dad was a legend,’ Terry said to a local journalist. ‘He was my workmate—my best mate. I miss him dearly. 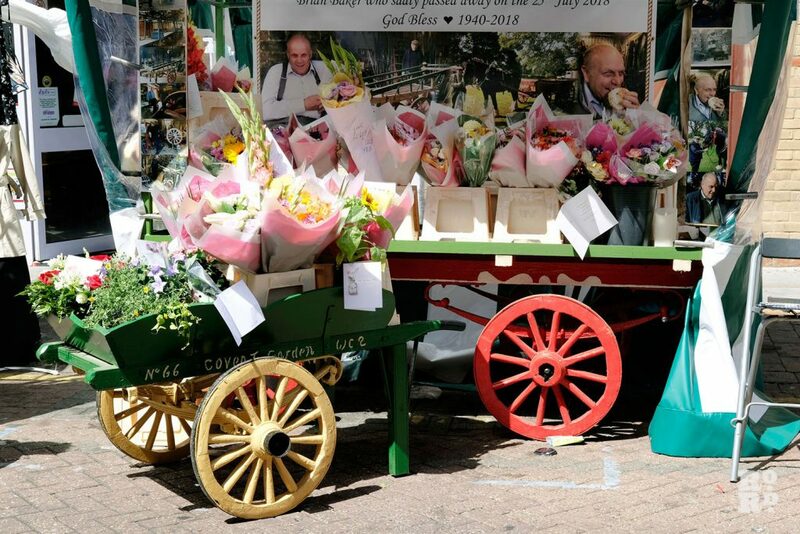 All these flowers on the stall just prove how much he was loved down the market. Brian’s youngest son Danny who is a coachman, will be driving his dad Brian, leading the funeral procession with horse drawn vehicles. The funeral will take place on 13th August and Brian will buried next to his wife Margaret at the East London Cemetery in Canning Town. 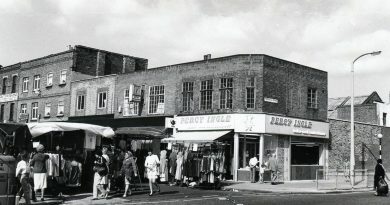 See archive images of Roman Road Market. A wonderful tribute to a Lovely Man Brian Baker. Ray.